The best reborning training DVDs in the industry! Course 1,2, and 3 DVDs, Advanced Classroom DVD, Rooting Your Reborn Baby, Painting with Heat Set Paints, The Art of Sculpting, The Art of Sculpting 6" Babies, Special Reborn Technique Encyclopedia Part 1. On the Learn-at-Home Classroom DVD you will see close up techniques that people in regular newborning classes cannot easily see. Our classroom DVDs are filmed using three professional studio cameras to take you right up close from every angle! At a regular newborning class you have only one chance to get it right, then you must go home and try to remember what you learned. With our Learn-at-Home Classroom DVD you can take the class as many times as you desire because you are in total control of the class. If you are having a particularly hard time with one step you can replay that section as many times as needed. You can't do that in a live classroom! This DVD class uses Secrist's Advanced Petite Paint set and Paint Technique Guidance Charts. We highly recommend you add those items to your order when you buy this DVD. Pat Secrist shows you step by step how to make your own 6" reborn baby in just 90 minutes. Learn the first three important paint steps and final assembly to bring your baby to life. Pat Secrist shows you step by step how to make your own 17" preemie reborn baby. Learn five important paint steps and final assembly to bring your baby to life. Pat Secrist shows you the Authentic Reborn 9 step process on how to make your own 19" full term reborn baby. 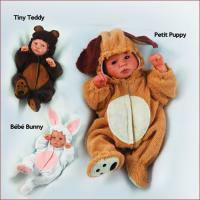 Learn the secrets of the professionals and bring your baby to life! No other training DVD offers you as much instruction and helpful information. If you've seen any of our other DVDs you know we are the best source for learning the art of reborning. This DVD uses Pre-Mixed Paints Set and Deluxe Paint Brush Set. The Special Reborn Technique Encyclopedia. It's your own special reference library that lets you pick and choose what you would like to learn when you would like to learn it. This is DVD one in the series. Learn the secrets to using the most popular skin texture tool in the reborn world. Watch as we demonstrate up close how to achieve an amazingly lifelike look using the Skin Texture Tools Learn how to paint incredibly delicate veins on your baby's eyelids for even more realism. 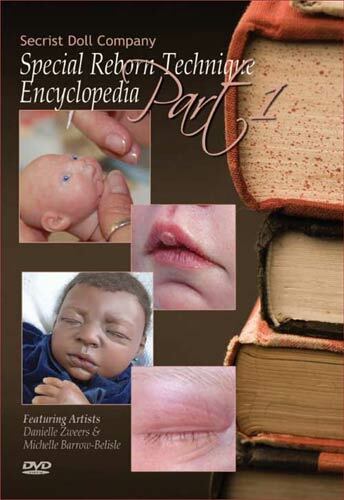 Learn the life-like painting secrets for African American and Asian baby faces. At nearly two hours long this DVD gives you up close and personal learning about very special newborning techniques! Our sculpting training DVD takes you from start to finish in the use of the Secrist Sculpting Foundation. 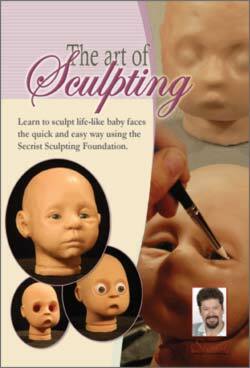 Even if you have no prior sculpting experience this DVD will teach you how to sculpt your own baby face! Follow along as Vicki Reid uses the form to create a newborn baby head in just over 60 minutes. Watch and learn as she demonstrates what tools to use and how to use them. If you want to know how the pros sculpt, and become a pro yourself, then this is the video for you! 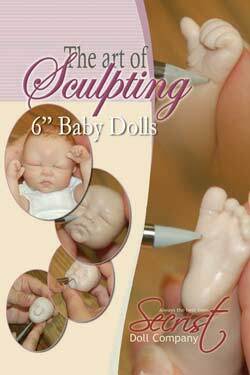 Our sculpting training DVD takes you from start to finish in the creation of a 6" baby. Even if you have no prior sculpting experience or have been sculpting for years this DVD will teach you how to sculpt your own complete adorable little baby! Follow along as Dawn McLeod* creates a 6" baby, step by step. Watch and learn as she demonstrates what tools to use and how to use them. If you want to know how the pros sculpt, and become a pro yourself, then this is the video for you! *Dawn McLeod's name is pronounced like "McCloud" and was misspelled on the DVD.